Are you a NSW licence holder? Are you familiar with the Road Rules? 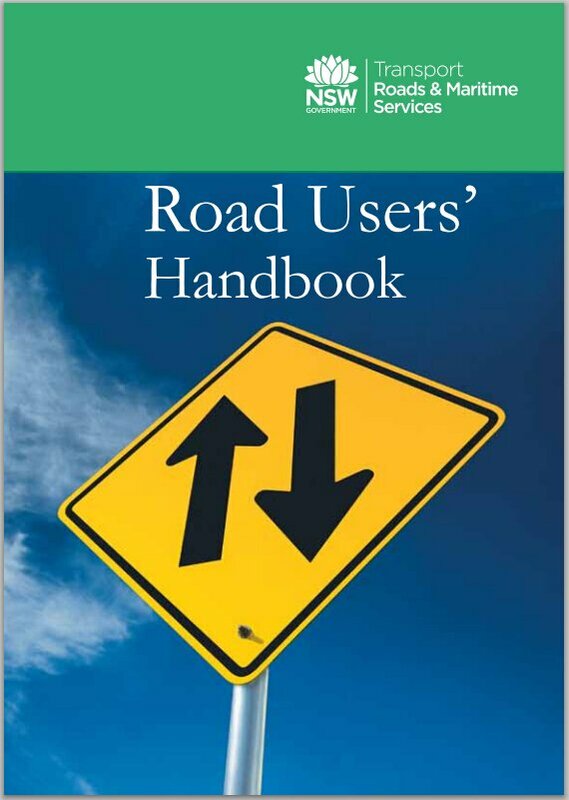 The road rules are a framework for safe and efficient movement of traffic on NSW roads. In order to assist our learner driver’s, provisional driver’s and any person who holds a NSW driver’s licence, Learn. Drive. Survive. have put together a series of demonstration animation videos provided by Transport for NSW, illustrating the most common road rules. These quick yet informative road rule videos, will particularly benefit those people who are learning to drive or who have a driver’s test for their P’s. Get clarification on mobile phone laws, roundabout rules and school zones. Remember…Road safety largely depends on all road users including pedestrians! Many intersections throughout Australia have a central roundabout. The purpose of having roundabouts is simply to manage the overall traffic flow with either a single or multiple lanes. All multi-lane roundabouts within NSW have painted lane markings to assist in guiding drivers around. Some multi-lane roundabouts also have pavement arrows which indicate which direction you must travel in. Driver’s must share the road with all pedestrians. There are special markings on the roadway to show where pedestrians have special rights. Driver’s must give way to pedestrians crossing the road into which you are turning. You must also give way to pedestrians – even if there is no marked pedestrian crossing – if there is any danger of colliding with them. When you’re driving, you can only use a mobile phone to make or receive a call if the phone is securely mounted to the vehicle, or you’re using an automated audio device. It is against the law to touch the phone (except to pass it to passenger) while driving. From early in 2016, anyone caught illegally using a mobile phone while operating a motor vehicle, will lose an extra demerit point. This has increased from losing three (3) demerit points to four (4). You should always keep to the centre of the lane in which you are travelling in. If the lane that you are travelling in has no road markings, drive near the left side of the road to avoid travelling closer to the centre in the event that any oncoming vehicles cross to the centre of the roadway. Before you decide to change lanes, indicate early providing plenty of time whilst checking your mirrors and blind (look over your shoulder) spot for other vehicles. You must give way to vehicles in the lane you are moving into. Overtaking is when you approach another vehicle from the rear and pass it whilst travelling in the same direction. Overtaking other vehicles can be dangerous and extreme care must be taken when doing so. One of the main difficulties when overtaking is being able to judge the distance required to complete the manoeuvre safely. Whether or not you are conducting an overtaking manoeuvre in a single or multi-lane, safety is always your number one priority. When driving at night or when driving in hazardous weather conditions with reduced visibility, your vehicle must have the headlights, tail lights, number plate lights, clearance lights and side marker lights (if these are fitted to your vehicle) clearly visible. If you are driving between the sunset and sunrise or at any other time when there is not enough daylight to be able to see a person wearing dark clothing at a distance of 100 metres, you must have your headlights on. Front and rear fog lights must only be used in fog or rain, or when conditions such as smoke and dust limit your vision. It is a legal requirement that once conditions improve and you can see more clearly, the front and rear fog lights are switched off. Where there is a NO U-TURN sign. At traffic lights unless you see a U-TURN PERMITTED sign at the intersection. Across an unbroken (continuous) line, double centre unbroken (continuous) lines, unless the line closest to you is broken. Keeping a safe distance from other vehicles allows you to have more time to detect and respond to hazards. Selecting safe gaps when turning, crossing traffic or changing lanes will enable you to turn, overtake, change lanes or cross an intersection without being involved in a crash. A school zone is the area around a school with a speed limit of 40 km/h. Between the ‘SCHOOL ZONE’ and ‘END SCHOOL ZONE’ signs you must obey the school zone speed limit. The school zone limit only applies on gazetted school days and during the times shown on the sign. Heavy fines apply if you are caught speeding in school zones. Traffic lights control the flow of vehicles and pedestrians to improve safety and access to roads. You should drive at a speed that gives you time to react if the traffic lights change. Many people may not be aware, but if you go through a yellow traffic light, you may receive an infringement notice as it is an offence. Yellow (amber) means stop. You can enter the intersection if you are so close that sudden braking might cause a crash. You may drive through a flashing yellow light or arrow with caution. You need to apply the give way rules to avoid colliding with other vehicles.